Five thousand dollar price reduction on this over sized commercial general zoning parcel just one street from Tamiami Trail in a well-traveled, highly visual area. Build your store, shop or professional building. View attachments to read Commercial General Uses. This area is rapidly expanding adding new homes and commercial businesses. The Murdock Village development project, Atlanta Braves, new Hospital, aquatic center and Water Park are all coming soon and will be making this a heavily trafficked area. Construction has started this year. 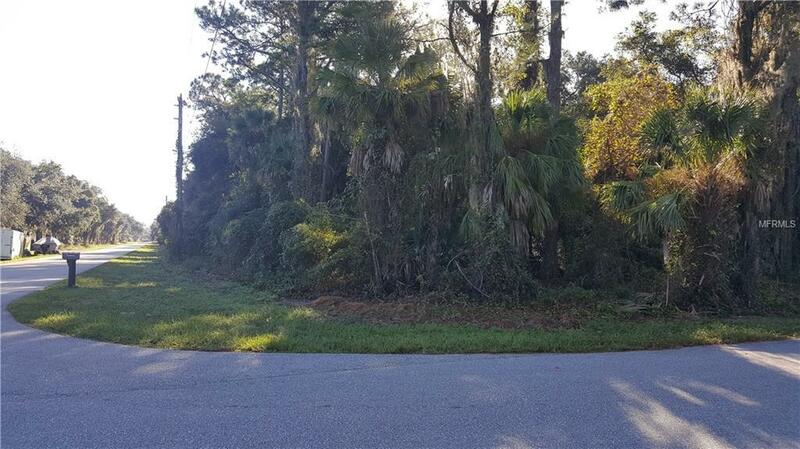 This parcel is centrally located between Port Charlotte Murdock Circle and downtown North Port which contains the fifth-largest land area in the state with 103 square miles. The city includes a large state forest within its boundaries. North Port Charlotte is known for its country lifestyle and excellent year-round climate. Warm Mineral Springs is enjoyed by thousands of visitors on a yearly basis. North Port provides direct access to the scenic Myakka River, which features a variety of wildlife and can be explored with guided tours. The city's population includes a median age of 38 and is one of the youngest in Southwest Florida.